Oren supplies camouflage printed freezer paper people in the food service industry including hunters, butchers and grocery store owners. Camo freezer paper offers a decorative way to protect and preserve meat and helps hunters distinguish meat from different excursions or seasons. Freezer paper comes in different grades and sizes to fit your storage needs and can be written on to record the date and any other details identifying what’s inside the package. Freezer paper preserves meat for all seasons and prevents against freezer burn or spoilage. Want to know more? 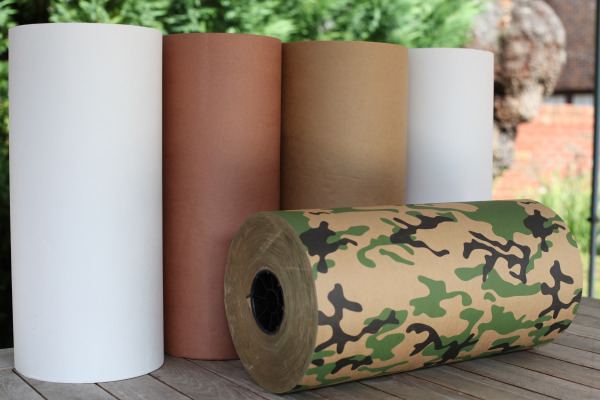 You can contact us for a custom quote and to order camo freezer paper. We offer 15, 18 or 24 inch rolls of freezer paper and can cut any custom size width for your needs. Camo freezer paper is poly coated on one side. This poly coat provides a moisture and vapor barrier that is perfect for containing liquids and grease.